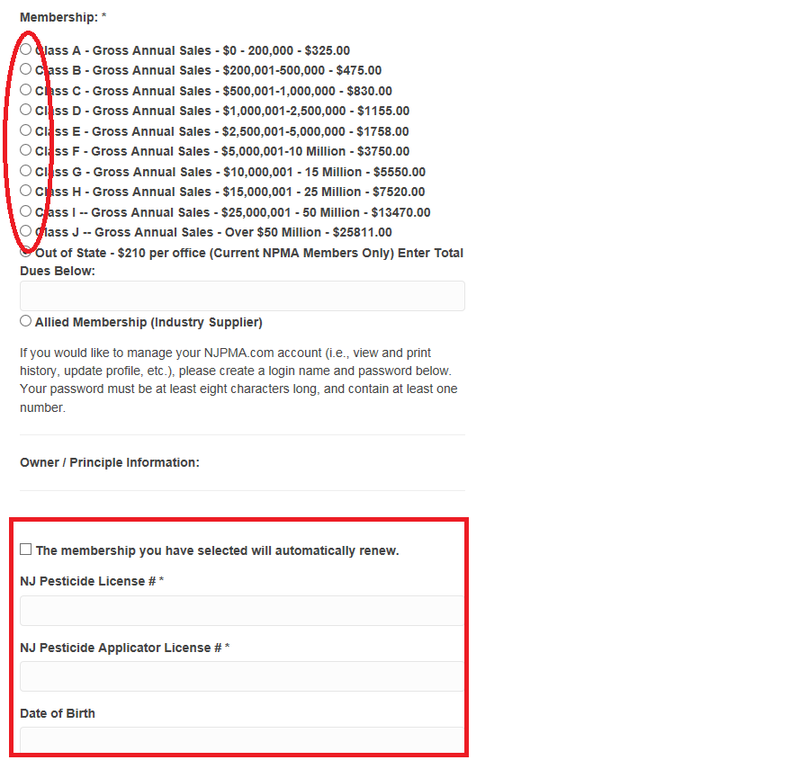 Remember the Membership Year for your dual NJPMA / NPMA Membership runs July 1st through June 30th! Be sure to Renew Early to get your Member Discount for the Clinic, Trade Show and Clambake! 1. 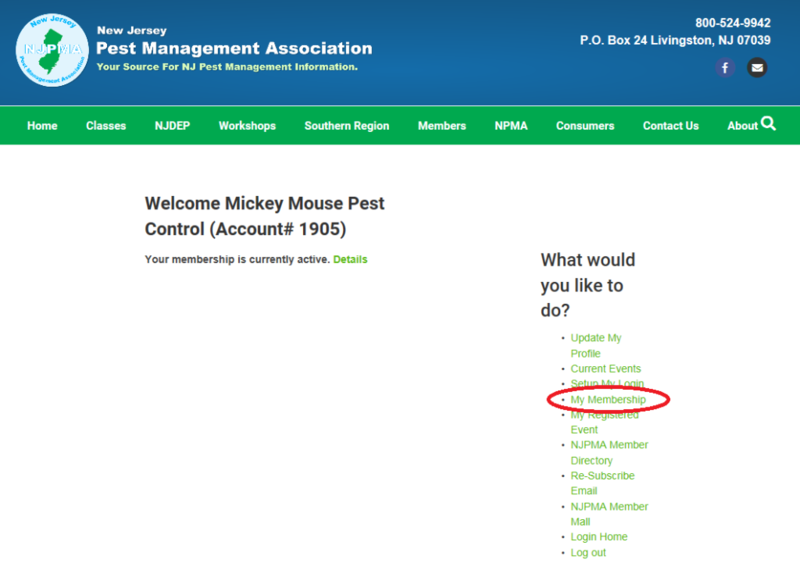 Log-in to your NJPMA.com Account. 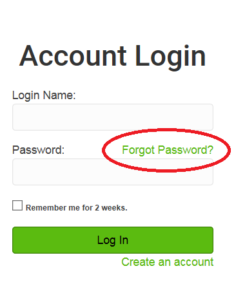 If you forgot your password, or never created a log-in to NJPMA.com, click on the "Forgot Password" link and input your email address. A log-in creation/re-set email will be send to you. 2. Once you have logged-in, click on "My Membership" from the Right Hand Navigation options. 3. Once in your account, look under Current Membership. You will find the "Renew Now" link when you scroll to the right. 4. 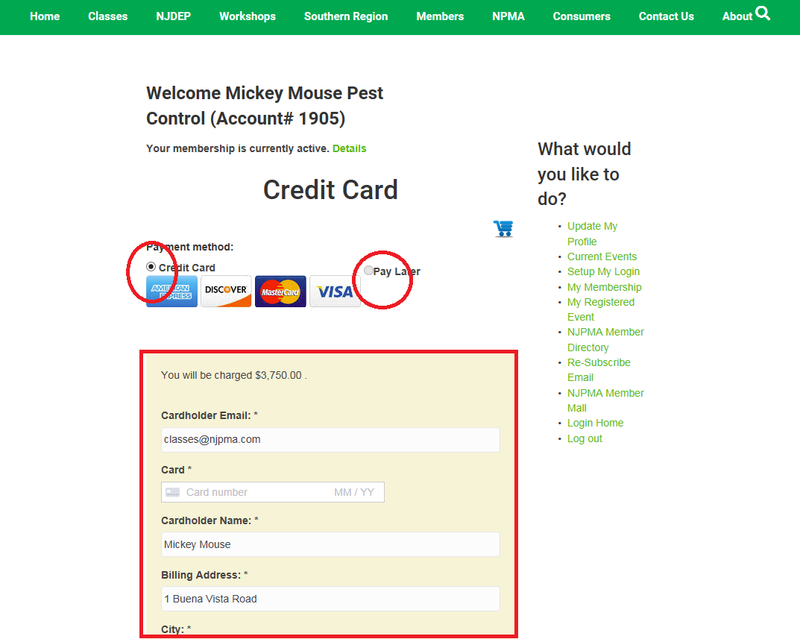 In the Membership area, you will choose your Membership Level based upon your Pest Control Annual Sales Volume. Please UPDATE your NJ DEP License info, Date of Birth and Last four of your Social Security Number. All Important items when looking to get NJDEP Re-Certification Credits. 5. Almost done! Here you can enter your Credit Card info, or indicate you will Pay Later in order to Pay by Check. 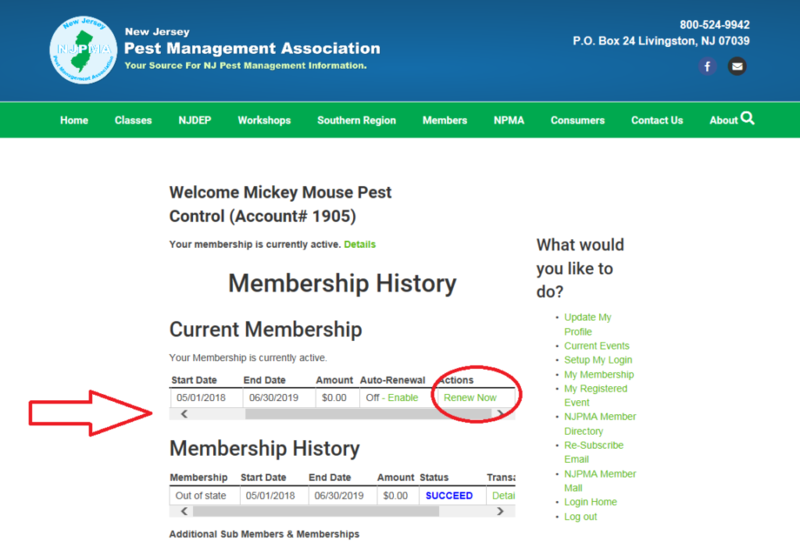 Remember to log-in when registering for classes and workshops in order to receive NJPMA Member Discounts on Basic Pesticide Training / CORE Classes, as well as many of our Seminars, Workshops and The Clinic, Trade Show and Clambake.